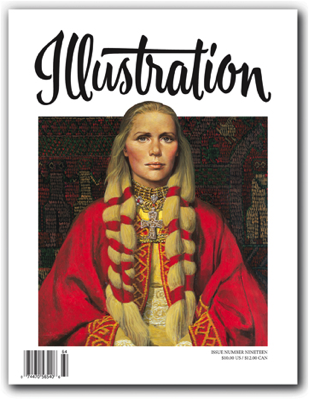 In this issue: The work of Louis S. Glanzman, renowned paperback book cover artist; the history of West Coast art studio Patterson & Hall; the work of science fiction book and magazine cover artist Ed Emshwiller; the recovery of Norman Rockwell’s stolen painting Russian Schoolroom; Book Reviews, Events and Exhibitions, and much more! 112 pages in full color. $15.00 U.S.